The need for business agility has never been greater. Transform IT into an innovative service broker. Business is Moving Fast. The Need for Agility is More Important Than Ever. Do I build a software-defined data center, a private cloud, or move workloads into public clouds? Which providers should I choose? How will I effectively manage it all? The tsunami of change can be overwhelming, so having the right partner at your side can make the difference between stalling out or speeding forward. With layering, operating systems and all applications can be packaged separately and then combined using a file system and registry virtualization. Successful projects depend on high-performance storage. The newer storage solutions also recognize that virtual infrastructure administrators live in the world of vCenter and SCVMM. End users can be trusted to install their own apps without worrying about interfering with system or application layers, taking the burden off IT staff who are then better equipped to operationalize. Empower your tier 1 service desk to handle desktop break/fix as well as backup/recovery to simplify management and speed issue resolution without disrupting the business. 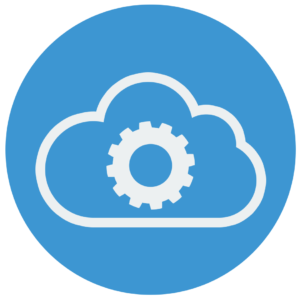 A simple, comprehensive virtual desktop management and mobility solution is needed to make systems in the cloud easy to manage for lean IT staffs and Tier 1 administrators.